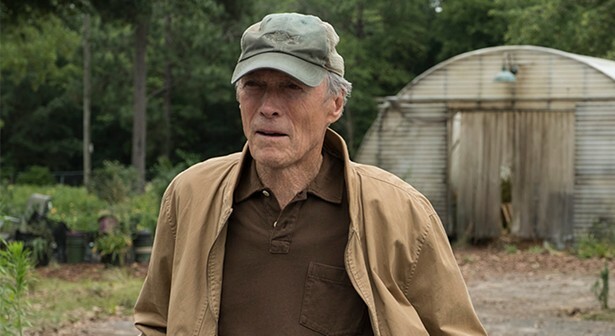 Making his first appearance in front of the camera since Trouble With the Curve (2012), here Clint Eastwood reminds us that when you need a grizzled old-timer who has to be both charming and stubborn – fractious, if you like – then there’s no better choice than the former Man With No Name. 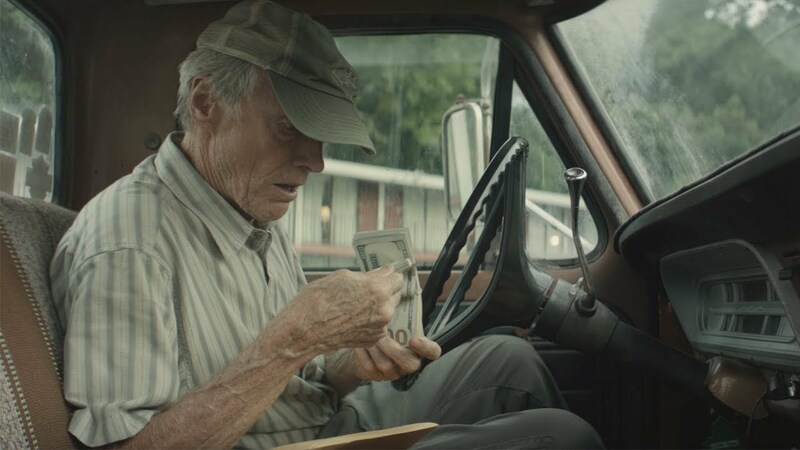 Based on the real life story of octogenarian Leo Sharp, who eluded capture by the authorities for over ten years, The Mule is an enjoyable, if rickety, drama that relies heavily on Eastwood’s presence, and which treats its subject matter with a lightness of touch that should feel alarming. But thanks to Eastwood’s performance, and a great deal of goodwill garnered by his direction of Nick Schenk’s uneven screenplay, the movie plays like a strange wish fulfillment fantasy where someone can be part of a drugs cartel and still be considered a “good guy”. The script has Earl behaving like Robin Hood, using his new-found wealth to help others, while avoiding any suggestion that his impaired morality is in any way wrong. And yet, when you have your main character flying down to Mexico to meet his employer (Garcia), and embracing the lifestyle (and the women; this sees Eastwood get more “action” than in all his other movies combined), it’s hard to accept the movie’s own compromised attitude. It’s this inability to make a firm decision about Earl’s status – is he an anti-hero or not? – that stops the movie from plumbing any depths that can’t be called superficial. There’s no sense of threat here either, with Earl ignoring repeated instructions and threats from the cartel and being let off the hook time and time again. And inevitably, Earl reunites with his family as a reward for his criminal endeavours. Through it all, Eastwood gives one of his best performances, elevating the material and showing the likes of Cooper (all starch and buttoned-down restraint) and Peña (in another sidekick role) how to maximise an under-written character to good effect. On the plus side, Yves Bélanger’s romanticised cinematography adds a layer of nostalgia to proceedings, harking back to a time when the likes of Earl were straightforward heroes (he’s a Korean War veteran), and running drugs would have been impossible to even imagine. And though the humour can sometimes be misplaced or inappropriate – Earl’s casual racism is awkwardly handled throughout – there are laughs to be had, and the movie’s genial attitude is appealing. It’s not a bad movie per se, and Eastwood is the reason why, but it’s not quite so good that it deserves anything more than average praise. 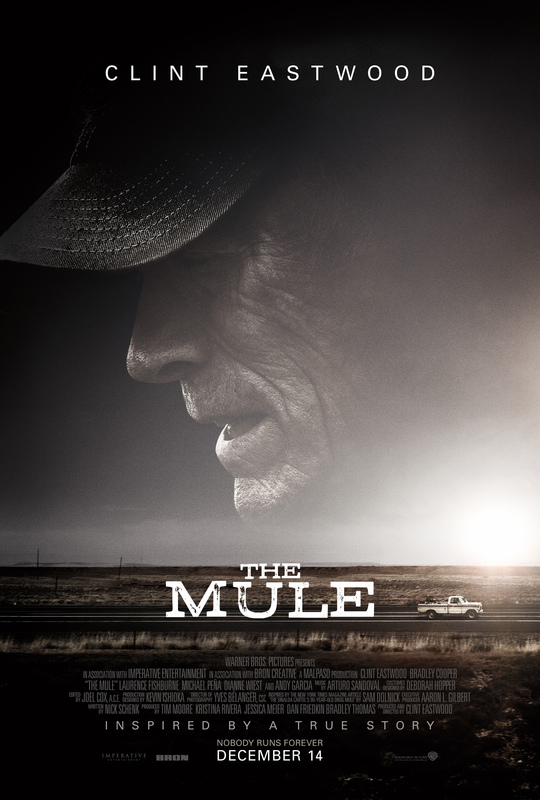 Rating: 6/10 – whimsical and unpretentious, The Mule is a lightweight offering from the veteran actor/director that lacks some much needed grit, and which opts for enforced poignancy as a substitute; the supporting cast aren’t allowed to do much, and there are stretches where the movie coasts along happily, but to no great effect, all of which adds up to a pleasant but unremarkable experience that fails to make a lasting impact.